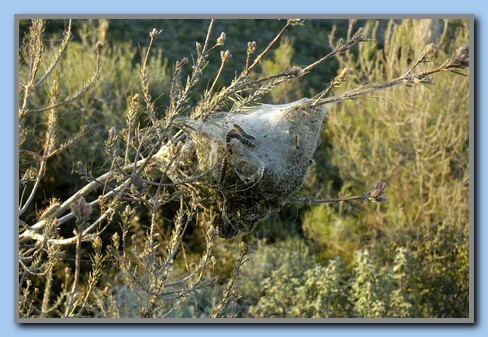 The silken nests visible in many pine trees are the winter nests for the larvae of the ’Pine Procession Moth’. 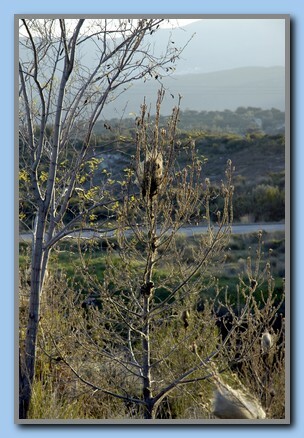 The nests are placed on the sunny side of the pine trees and give protection to the larvaes against the cold and wet weather during the Winter time. 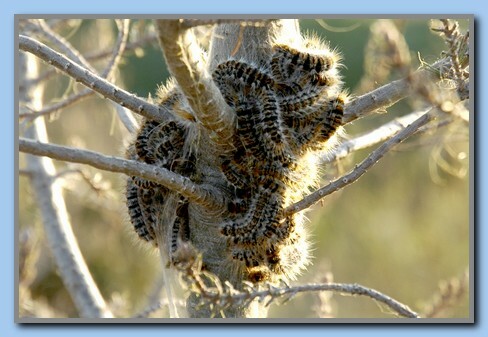 There can be several hundreds caterpillars in one nest, and they do a lot of the damage to the tree, because they eat the needles. 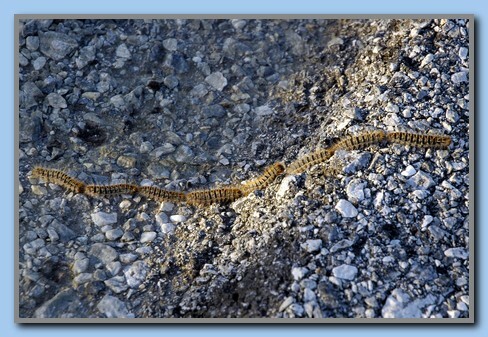 In February – March the caterpillars leave the nest and in the typical procession fashion they are walking along to find a good place to pupate. 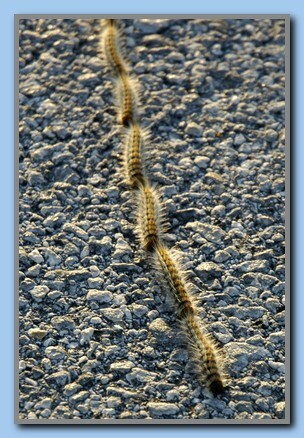 The number of caterpillars in a procession can vary from a very few to hundreds. 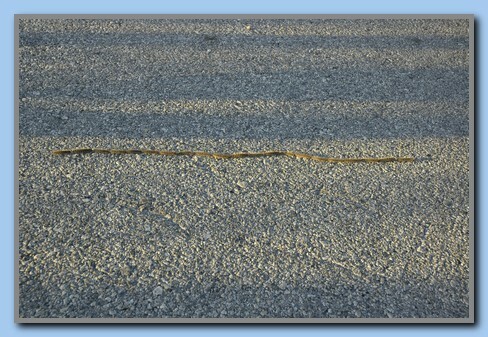 When a good place is found they bury themselves at a depth of 5 to 30 cm. 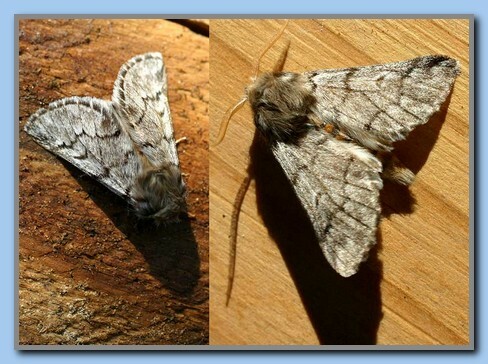 After about one to three month the insects final (and 5’th) development is ended – the moth comes up and can fly out to start a new generation. The moth has no organs for eating and lives only 1-2 days. 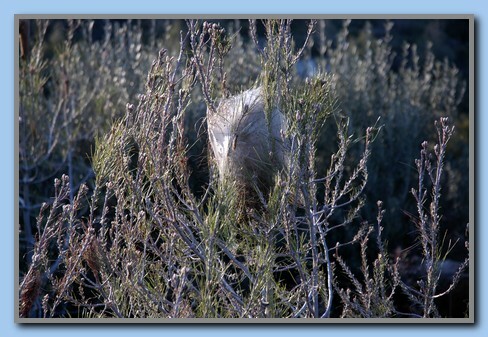 It finds a suitable (often isolated) pine tree and lays 100-300 eggs between 2 pine needles. The two needles are then secured with a layer of ‘silver-threads’. 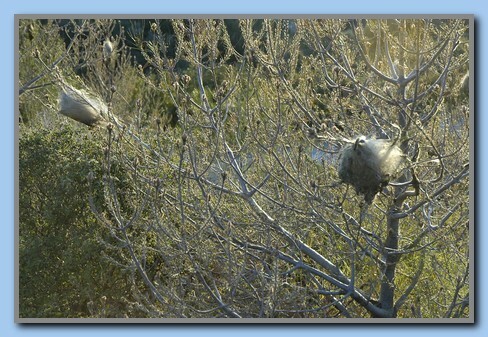 After 30-40 days the larvaes come out and start eating the needles. 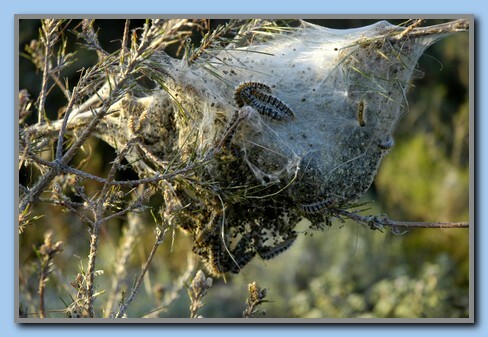 The larvaes grow quite rapidly and weave a thick web as a summer nest. When autumn starts the larvaes are joining other colonies and they build an extremely solid and resistant nest which will be their winter shelter. 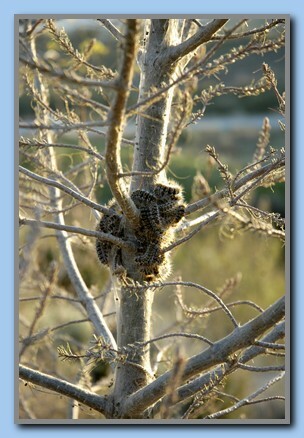 WARNING: In the beginning of spring, do not go near the larvaes or nests and avoid stopping under infected trees. 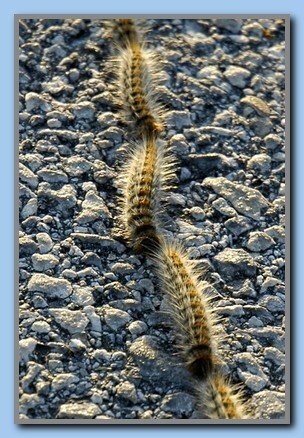 The caterpillars can be quite dangerous to both animals and people because they have fine hairs that are poisonous. The hairs are formed as small hooks, and it can be fatal to touch them or to inhale broken-off hairs.